So much for that one-game winning streak. 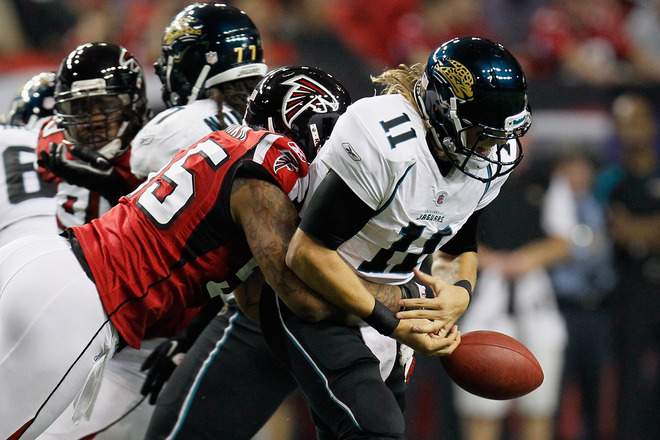 The Jaguars might has well have stayed on the bus Thursday night, as they were no match for the high flying Atlanta Falcons at the Georgia Dome, losing in awful fashion 41-14 to fall to 4-10 on a season that’s quickly coming to a bad ending. The Falcons are now 9-5, and took care of business early, quickly going up 10-0, and then after a muffed punt, Michael Turner went in on one play for a quick score to make it 17-0. Turner burst off left guard for 15 yards on the first play of the game, and the Falcons were off and running. Ryan capped the opening drive by stepping up to avoid the pressure, flipping a short pass to Jones, then watching the rookie turn on an impressive burst of speed for a 29-yard touchdown. 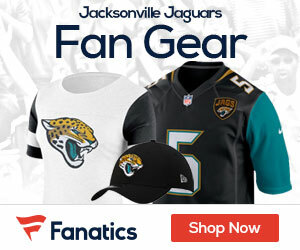 Jacksonville will get home and lick their wounds, as they continue to look ahead to the offseason and what moves need to be made. They will be at Tennessee on Saturday, December 24th for game 16.